Birds and other wildlife are the chief attraction. 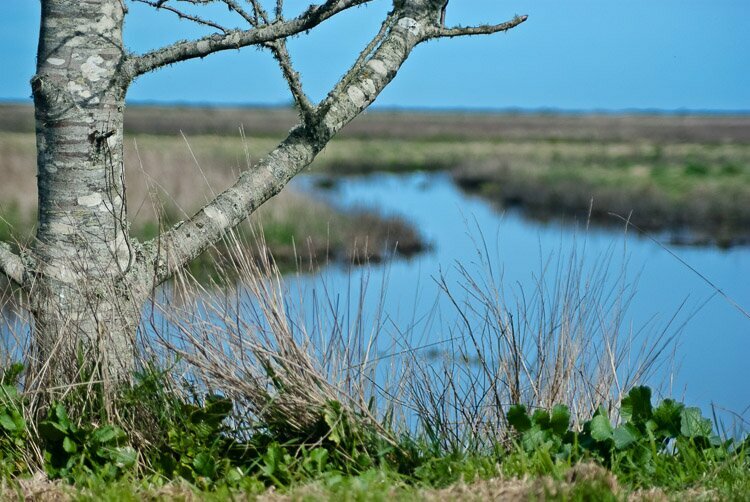 Deer congregate in the area, and otters swim the sloughs and estuaries. The southeastern marshlands of Humboldt Bay can be a pleasant place to spend the morning, while waiting for the sun to burn through the morning mists.